Steed attempts to hypnotize Tara but instead hypnotizes himself. Tara takes advantage of this by ordering him to take her to dinner. Steed momentarily leaves his trance to ask who'll foot the bill. 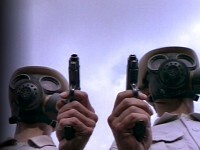 Secrets from Cypher HQ are turning up in enemy hands, in spite of airtight security. Worse, agents sent in to investigate find the assignment terminal. While it starts out as a bit of a yawn, it does pick up toward the end. 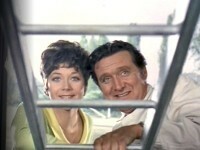 Classic cleverness borders on excessive goofiness (a hallmark of this season) as Steed and Tara meet Mother in their respective cars in the middle of a field. 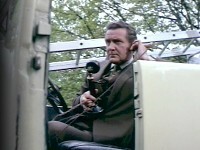 Simon Oates (Maskin) played Steed in the short-lived stage play of The Avengers (1971). Acronym Alert: CGC is Classy Glass Cleaning Co. Ltd, and MOTC is the Ministry Of Top-Secret Codes (extrapolated from dialogue). Brookman's Park Transmitting Station serves as Cypher HQ.